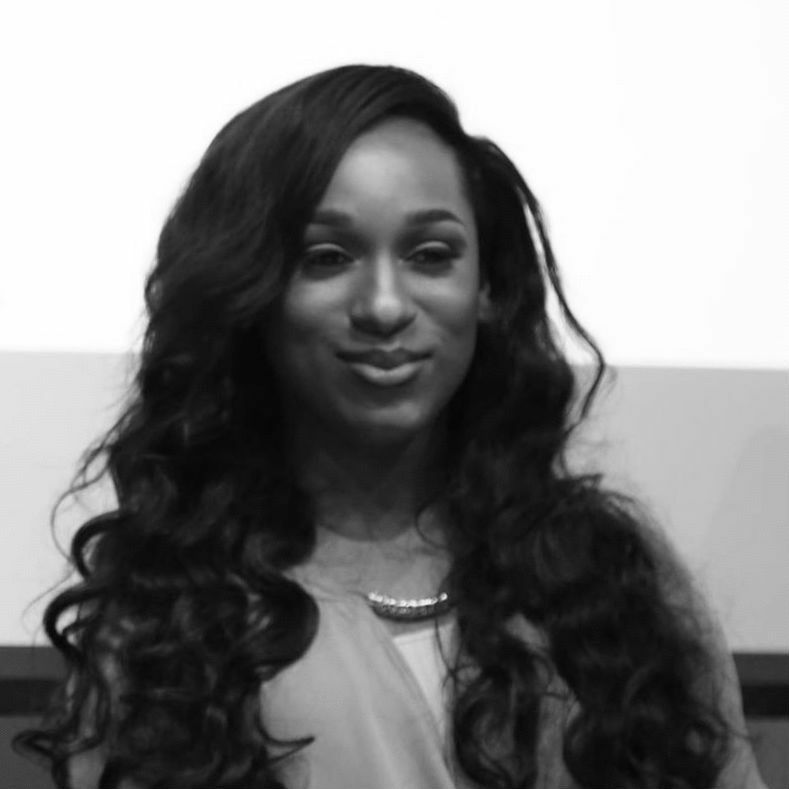 Activists Elle Hearns and Treva B. Lindsey discuss the future of Black Women and Femmes. E&T: As Black women, they don't want us to win. We know that, and it has never stopped us from doing what needs to be done- for the liberation of our people. It didn't stop Harriet, Patrisse, Alicia, Opal, Shirley, Mother Marsha, Mother Major, Assata, Samaria, Ida, Ella, Fannie, Rosa, Coretta, Septima, Pauli, JoAnne, Recy, Mary, Sojourner, Maria, Queen Nanny, Nina, Miriam, Celia,and the millions of Black women known and unknown who fought and fight for ALL of us. And it won't stop us. T: What does solidarity mean? I'm wary of its meaning in our current movement. E: Solidarity is something our movement heart is fond of, but in reality under the confines of white supremacy the practice is difficult. Solidarity for black women is often in relationship to capitalism, which creates a falsehood of our ability to truly be present for each other as black women. While Black cis and trans women are still under attack we can't move beyond mastering the art of solidarity in praxis. The move from idea to practice is unfinished. Black women have kept us alive, have sustained Black love in our communities. I'm always deeply moved at how much of ourselves we as black women have to give to uplift the communities we come from and to be in solidarity with principles that move and liberate us. E: How does solidarity materialize in your life? T: I see the elements of the praxis of solidarity in my life. I look to collaboration and radical collectivity for both my work as a scholar and as someone deeply invested in working in and with my communities. I find collaborative energy most prominently in black women, in black femmes, and in black communities. I sense, however, that both of us have some hesitancy around both the idea and practice of solidarity. For me, that stems from a lack of self-reflexivity that often does occur in community spaces. E: It is the responsibility of people who want to be in solidarity with Black women, and Black femmes to be self-reflective. You have to survive, but what will it take for you to support other people surviving? Solidarity is often dictated and controlled by people with power and privilege. Before black women can be fully present in a space of community we have to make space for folks to challenge themselves to practice solidarity or challenging solidarity's deep entrenchment in power and privilege, which speaks to the emotional labor that is often disregarded that black women have to do. Who gets to dictate the parameters of solidarity? T: There's a fault line in how Black cis women are embracing, acknowledging, and citing the world-making of Black trans*, femmes, and queer folks. We must work to resolve an uneven dialogical relationship for true solidarity to be possible. Also, solidarity, even in theory or idea is not necessarily life-affirming, restorative, and transformative. Solidarity can felt static and conceptually less fluid, expansive, and dynamic for a MOVEMENT. T: So what are the ethics of this radical collectivity we both imagine? Solidarity, the Remix? Ethical is not a word that comes up enough in discussions about solidarity. E: Are our ethics based on the reality that white supremacy is the house that all systems of oppression reside in? How are we in solidarity with the pain we've already experienced that got us here? These things affect the ways we show up for ourselves and others. Black women have all of these experiences that affect our ability to be in the practice of solidarity. Our pain, our trauma, our love has shaped how we are present and engaged in the movement. T: We are often emotionally unjust to ourselves- thinking of my sister Esther Armah and her work around emotional justice. When we are literally fighting to survive and live, how do we address our emotional states? I think we must develop an ethics around the reality that we are often not well and how we take care of ourselves and one another. We need a co-extant practice of self and other care that accounts for our (dis)abilities to show up for ourselves and one another. Another part is the effects of toxic masculinity. In particular, toxic Black masculinity is killing us. E: Intra-community violence is intimately and painfully connected to police violence--- but often intra-community violence gets rendered invisible in the broader context of state violence. We are so committed to protecting Black masculinity and Black men. We rarely think about how vulnerable Black women and Black femininity are. Why are we more invested in protecting Black masculinity than we are in protecting ourselves from Black masculinity? T: Toxic masculinity, but in particular toxic black masculinity is killing us. We must look at the bleakness of intra-community violence and move beyond the singular framing of intra-community violence that only addresses Black men/boys killing other Black men/boys. We must have conversations about intra-community violence and state violence simultaneously- because that's how these acts of violation happen. We must collectively confront the reality that both the state and the community are sites of violation for ALL Black women. Numbers don't lie, the realities are stark and the mere repetition of them is not even close to enough. E: Progress can't just be "having more numbers" revealing the stark realities Black women face. Black cis, trans, and femme folks are still under attack. T: Word. So what does that progress look like beyond "the numbers"? E: Black women/femmes constantly are on the frontlines of movements, pop culture, and our collective visioning of our communities. We must continue being on the frontlines for each other. We must lead through love and unlearning. We are limited in our visioning... but it's actually fair that we don't have the answers, in fact the work is intoxicating to what the possibilities of freedom through love are. We are unlearning the things we have been taught about ourselves. Our love as black women is much more than the consistency of death. There is a bigger picture to the type of love we desire and deserve as Black women. If we have an army of love in formation, there is no way we can't penetrate the systems that want us extinct. T: I love that Sib. That's powerful on so many frequencies. I can't help but think beyond solidarity- beyond what we currently think is possible. 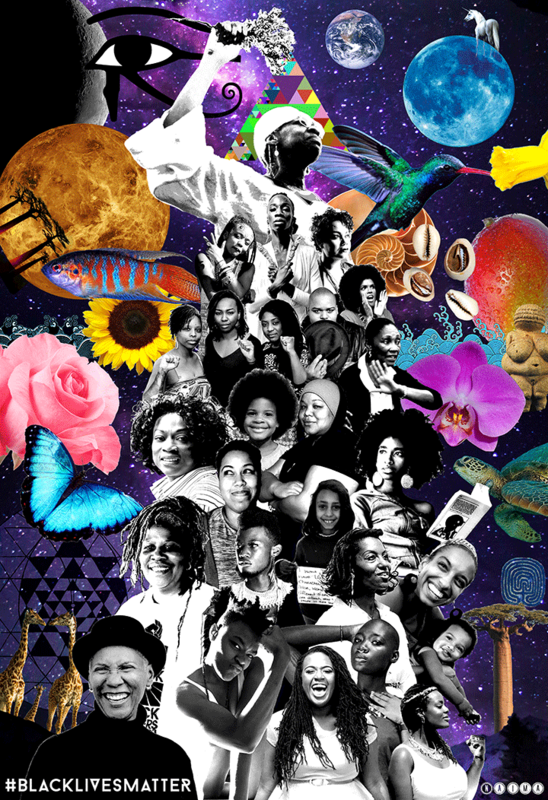 I want to imagine a radical collectivity in which the labor of Black women is truly valued. We been on. We been sustaining, often at the expense of our own survival. How must we think about our future, our Black future? E: Without Black women, there is no future.